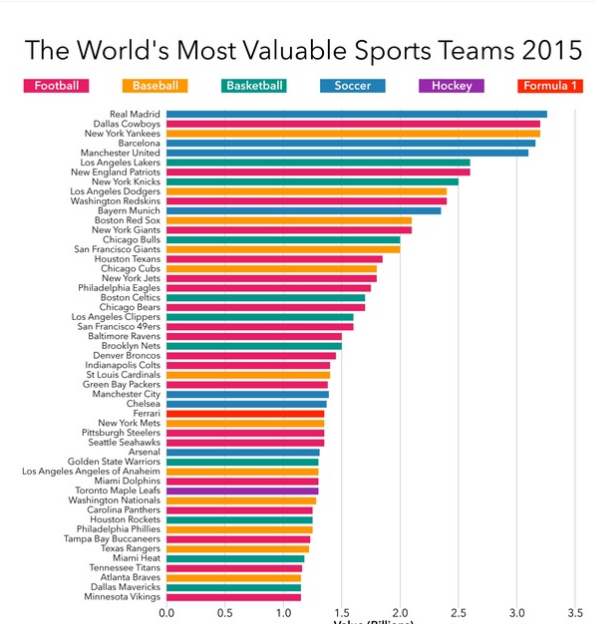 The biggest Sport team based on valuations . 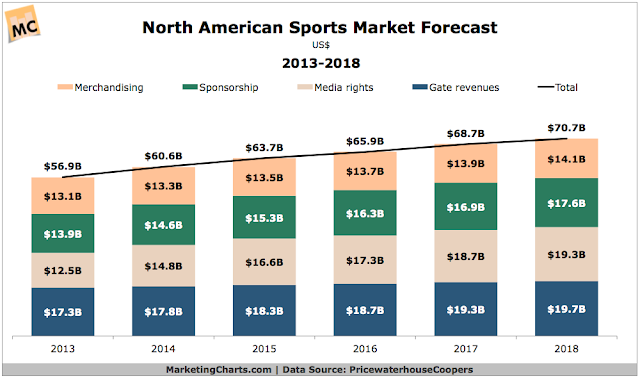 Real Madrid Football Club followed by Dallas Cowboys and New York Yankees are amongts the biggest brands in sports with the highest valuation.However 2016 rankings saw Dallas Cowboys replacing Real Madrid as the NFL franchises make up 27 of the 50 most valuable sports teams in the world. Dallas Cowboys, with a valuation of $4 billion is ranked first. It is the first time a non-soccer club has reigned as the most valuable team since 2010 (the first year Forbes compiled a top 50 list). Manchester United held the crown from 2010 to 2012 and Real Madrid the last three years. 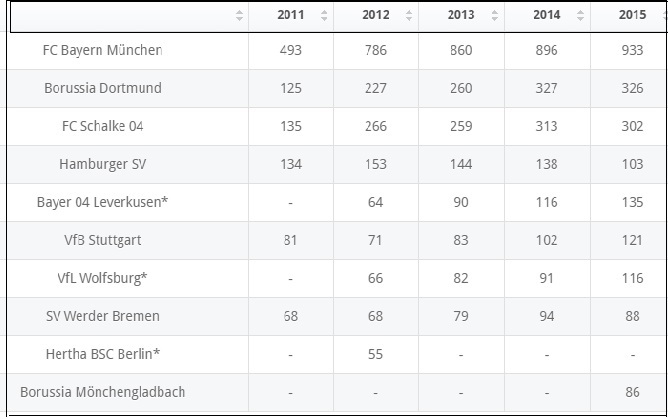 Bayen Munich is the riches club in German Bundesliga team for the last 5 years. 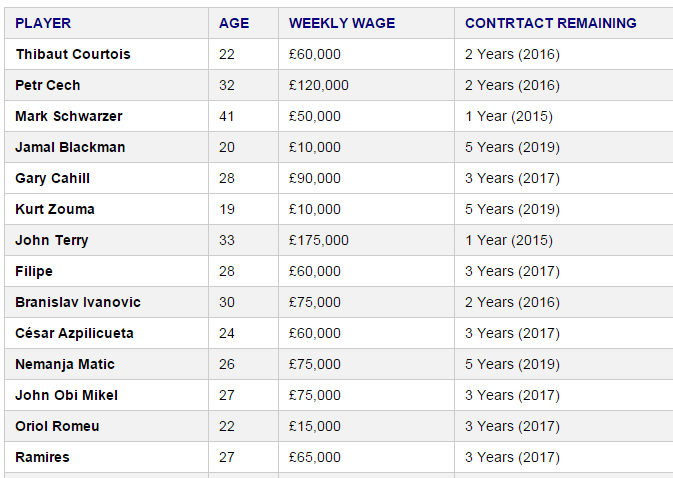 The number 2 and 3 ranked richest German football clubs happen to be Borrusia Dortmand and FC Schalke 04 football. FC Bayern München had a brand value of 786 million U.S. dollars in 2012 which rose to 933 US dollars in 2015. Taking a look at some of the numbers in Superbowl. 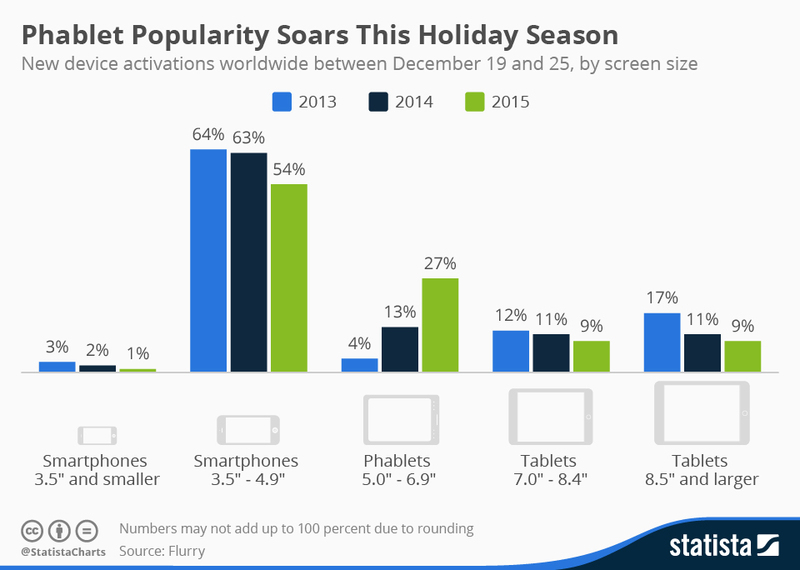 The numbers are truly mind-boggling. 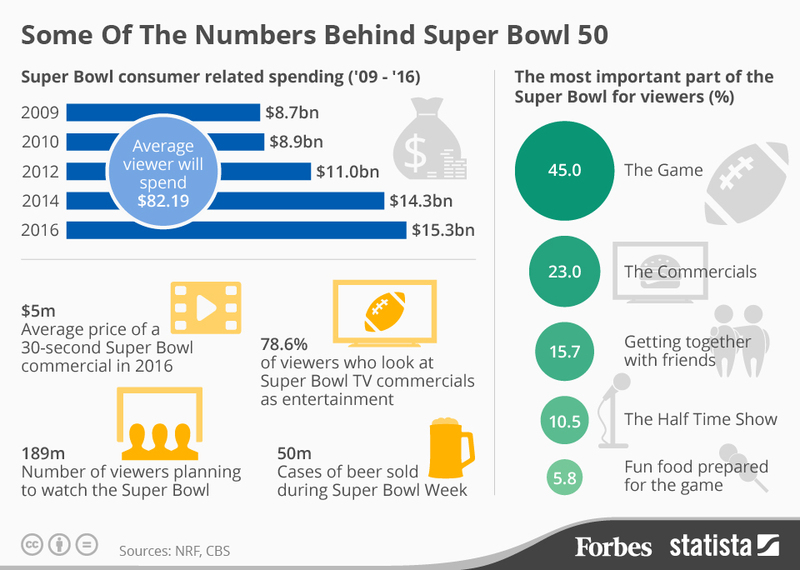 Average american viewer will spend $82.19 on superbowl. EMIRATES, CHELSEA, MANCHESTER UNITED AND MANCHESTER CITY are among the top 3 English football clubs that pays the highest salaries. 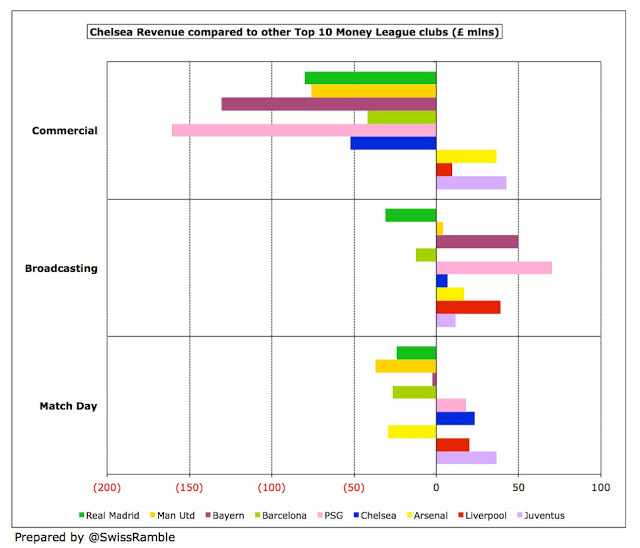 The above chart shows the wage bill of the top English clubs . 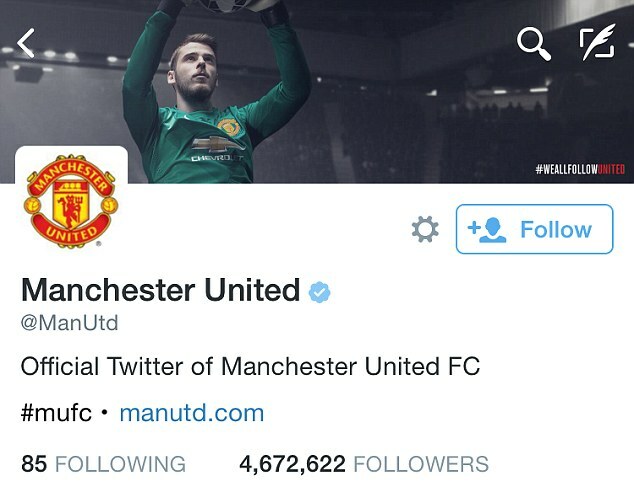 Manchester United tops as the most social English football club. 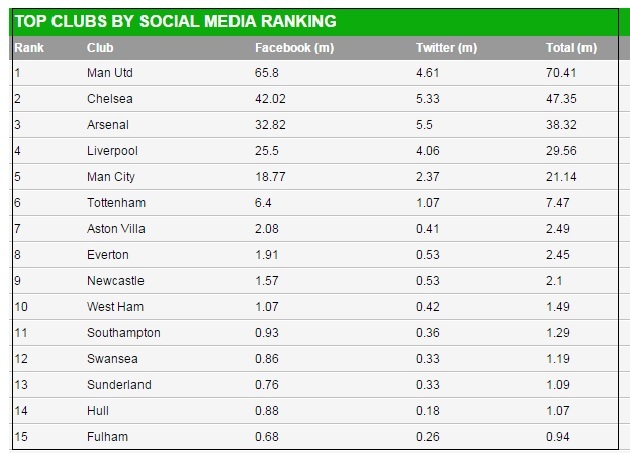 Chelsea and Arsenal ranks no 2 and No 3 respectively as the most social media savvy english premier league clubs. From the beautiful game to the Bountiful game . 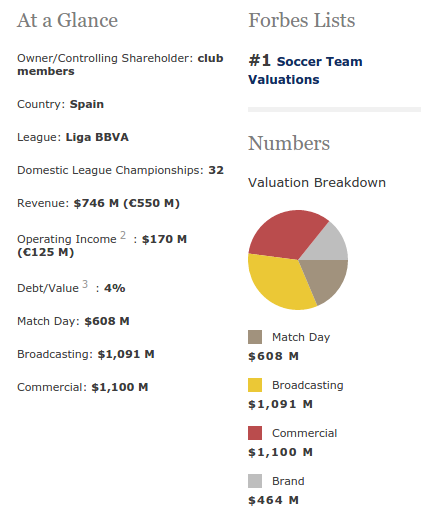 The 20 most valuable soccer franchises are worth almost an average of $1.16billion. 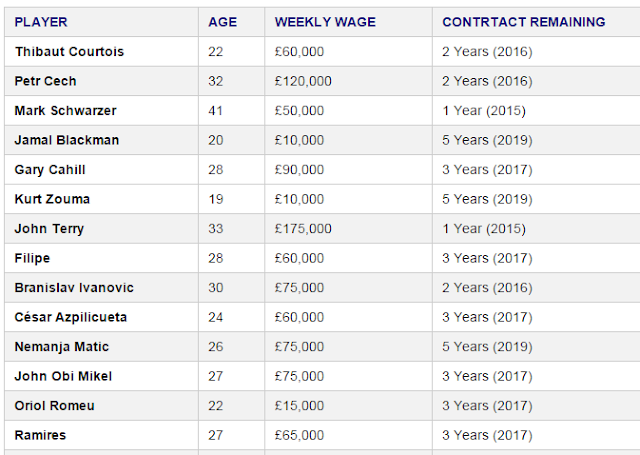 But do you know which soccer players are kicking at the top position in soccer in terms of their combined earnings from sports and endorsement fees ? 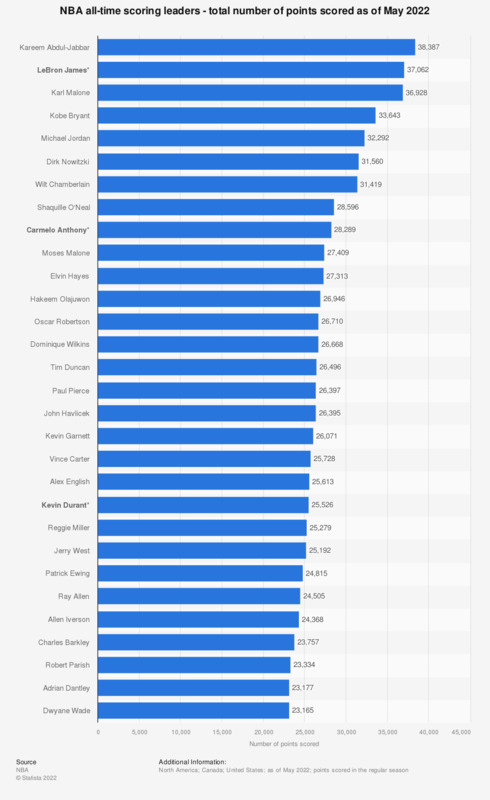 This chart gives you a lowdown on the top 10 richest footballers and the football club they are affiliated to. This year’s Olympics are being branded by organizers as the world’s “first social Games,” and it’s not hard to see why. Social media has narrowed the divide between athlete and fan over the past few years, with new and unexpected connections happening every day.That’s why the International Olympic Committee (IOC) launched an online hub this week. When the last Summer Olympicsbegan in 2008, Facebook was a relative baby, at just 100 million users. When the 2012 Games kick off in London this summer, Mark Zuckerberg’s empire will boast more than 845 million members. Likewise, Twitter had 6 million users in 2008; today the network is more than 20 times larger, at 140 million users. Of course, it’s not all positive news — the Olympic organization has also seen branding-related troubles that have been denounced by some observers. Still, that controversy will only increase the level of social media chatter around the games. *Excludes visitation from public computers such as Internet cafes or access from mobile phones or PDAs. With India winning the worlds cup yesterday,its time for the sports and cricket sites to count their " Revenue". Crickey crazy Indian's logged to their favorite Cricket Site with unprecedented users flocking to ESPNcricinfoi and Yahoo Cricket.. The report found that the tournament caused a surge in visitation to cricket sites in India as fans went online for the latest results and match updates. Sites reached their highest volume of traffic for the month during the week ending March 13, with 16.4 percent of India’s online population visiting ESPNCricInfo.com and 13.4 percent of web users visiting Yahoo! Cricket. According to Comscore,ESPN’s cricket site, ESPNCricInfo.com, saw the largest volume of visitors for the first four weeks of the tournament during the week ending March 13 with nearly 7 million people frequenting the site, an increase of 42 percent from the week ending February 20 when the tournament commenced. Yahoo! Cricket reached 5.7 million visitors during the week ending March 13, while CricBuzz.com surpassed 1 million visitors during both the week ending February 27 and March 13.